Serving students in High School, Liberty Charter School is dedicated to helping students become literate, life-long learners and responsible citizens. Our children are a reflection of our community, and at Liberty we help them learn what good character requires. We provide technology and life skills, along with opportunities for community service. Parents are an integral part of the LCS program, both in and out of the classroom. They participate in decision-making, and they have plenty of opportunities to learn along with their children. Our teachers are credentialed professionals with years of experience. They are committed to educational success for all LCS students. Our teachers are actively involved in decision-making and school governance, and each of them takes part in professional growth activities on a regular basis. They are highly creative and innovative individuals who recognize that parents have a choice in the education of their students -- and they're crazy about our students! 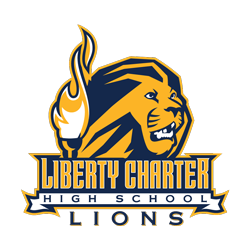 Liberty Charter High School is a part of Literacy First Charter Schools. Literacy First Charter Schools is dedicated to helping children become literate, life-long learners and responsible citizens. Our children are a reflection of our community. At Literacy First students learn what good character requires. Technology and life skills, along with opportunities for community service are all part of the routine of an LFCS student. Opportunities to develop critical decision-making skills along with collaborative team building is part of the the balanced education that students at Literacy First will consistently receive. As a result of federal legislation in 1992, the government provides for the development of charter schools. These schools operate outside of the traditional public school education code. Charter schools have been developed all across the nation. California has hundreds of charter schools throughout the state. Charter schools generally have a particular focus area. Each school is guided by its particular charter which outlines the specific manner in which the mission of the school will be implemented. Charter schools allow for a new freedom, which may not be found in the traditional system. Differences may range from the way the school is governed to the specific type of educational program implemented on a day-to-day basis. Charter schools are public schools, and funded through the use of state and federal funds, just as the traditional public school. Charter schools are free! They are a unique blend of business and education, realizing that customer satisfaction is important to the success of the school. Learn MORE About What Makes us GREAT!